So the hottest craze in Hawaii is playing on the stand up paddle board. We’ve been hearing a lot about it in recent years and have been intrigued by the endurance races that we’ve heard about throughout the Hawaiian Islands. 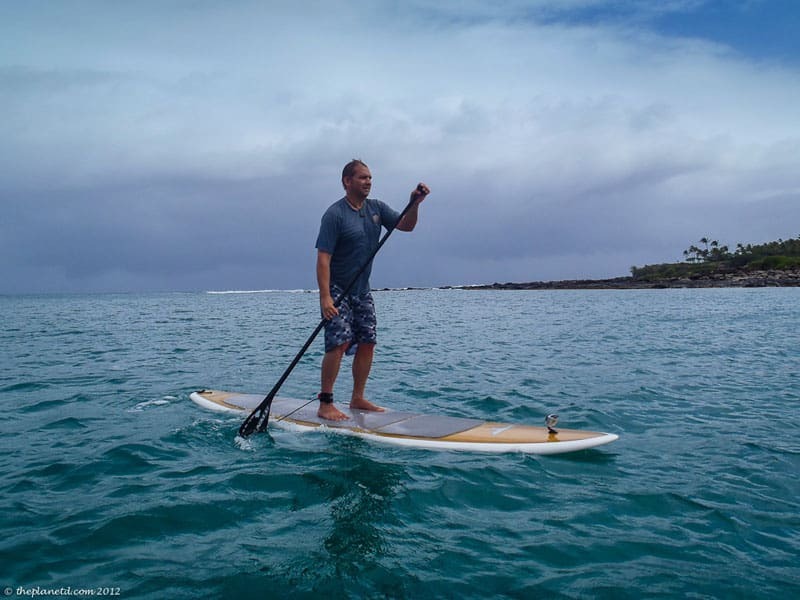 When we had the chance to give the stand up paddle board a shot while vacationing in Maui, we jumped at the chance. 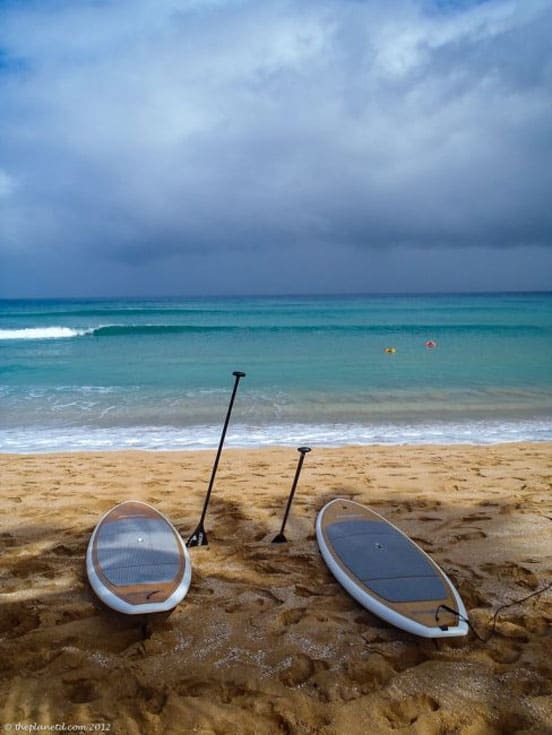 It was 9:00 am when we met our guide Kahi of Tiki Man Stand Up Paddle Boarding on the beach of Napili Bay. With the waves being higher than usual, we were a little intimidated to head out on the water and we started to wonder if this was such a good idea. Everyone told us that Napili Bay is usually smooth as glass but a strange weather pattern had caused the waves to swell. Not knowing what to expect, we were a little worried but we put our faith in our guide and decided to enjoy the morning. Our lesson consisted of a quick introduction to the boards, instruction on popping up from a kneeling position and going over a few strokes. To turn to the right, you paddle on the left hand side of the board and to turn to the left, you paddle on the right. If you want to turn quickly, you drag your paddle and then do two quick back paddles on the same side that you want to turn towards. 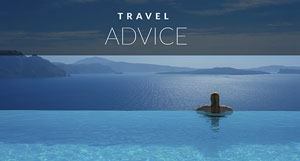 Don't lean too far forward or too far back or too far on either side for that matter. Stay centered on the board. There is really no better way to learn something than to jump in with both feet. It wasn’t long until we were on our boards paddling out to sea. The easiest way to get through the breaking waves is to paddle on your knees. Plus paddling on your knees fees more secure than standing up, so it's a great way to get comfortable on the board. Once you are out in calmer water and you feel secure, you have to put your hands down in front of you (like standing on all fours and then jump quickly to an upright position. Make sure to land in the centre of the board. Kahi told us to make ourselves fall in to the water as quickly as possible to get it over with. As soon as we felt the sensation of falling in, we wouldn’t be afraid and we’d be ready and able to get on with paddling. It was very good advice. The anticipation of falling in is worse than actually falling, so I jumped off the board and instantly felt better. The water was pleasant and by having my ankle strap attached to the board, I know that I wouldn’t be far away from the safety of a floatation device. In Case you Missed it, here's a video of our stand up paddle boarding experience. You get to see some of our spills and thrills. If you have ever tried surfing or snowboarding, you will find stand up paddle boarding very easy. I’m not quite sure what I expected, but I didn’t expect it to be so easy. We felt very secure on the board while paddling and I felt as if I could do this all day. Kahi told us that people love it for cross training. It is an amazing core workout and it isn’t hard on the joints like running. You get a full body workout because you are using all your muscles to balance on the board while staying in a constant squat to steady yourself. Plus, you also work out your arms, shoulders and back while paddling. It’s like paddling while standing on an exercise ball for two solid hours. What’s so amazing is that it is so much fun, you don’t feel like you are working out. The scenery is beautiful, catching a few waves and swells is a thrill and paddling along the coast is simply a good time. You don’t notice how much of a work out it is until you are finished and you start to feel your tight abs and thighs later in the night. Stand up paddle boarding is an excellent way to get in shape and have fun at the same time, and the best thing is, all you need ia a body of water nearby. We liked it so much that we’re definitely going to take up paddle boarding wherever we go in the future. Who knows, maybe we’ll be taking part in one of those inter-island races that we’ve heard so much about in Hawaii. It could be our next great adventure! 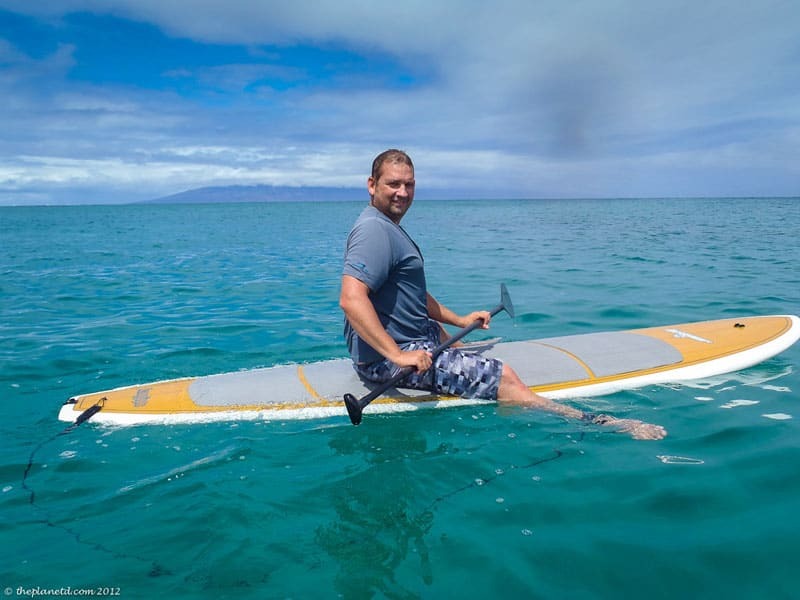 23 Responses to "Stand Up Paddle Board – A Lesson in Maui"
In paddling there are various of things which you should need to look out first of all it is maintaining the balance level of the paddle boards so that you can easily take the enjoy of the paddle boards and take the adventure of the paddleboard. 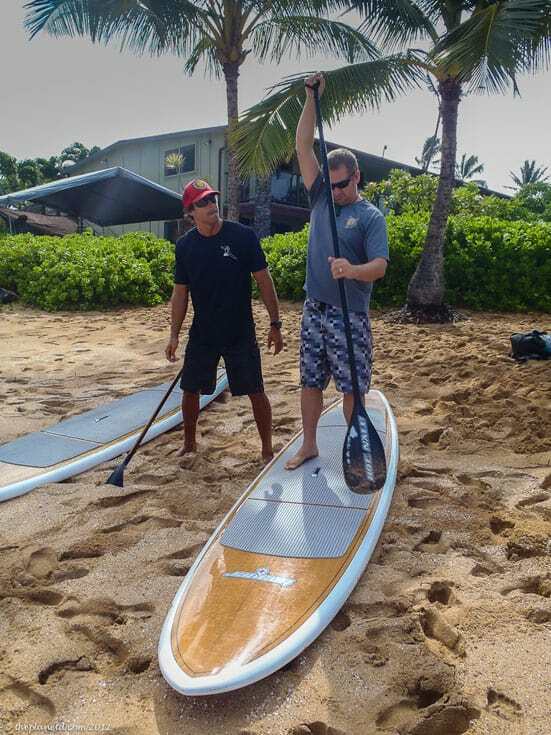 I first tried stand up paddle boarding in Hawaii too a few years ago and now I am hooked! It is so addictive and such a great workout, I absolutely love it. I was in the Big Island of Hawaii last summer and I was paddling almost daily. Maui will be my next destination of choice. 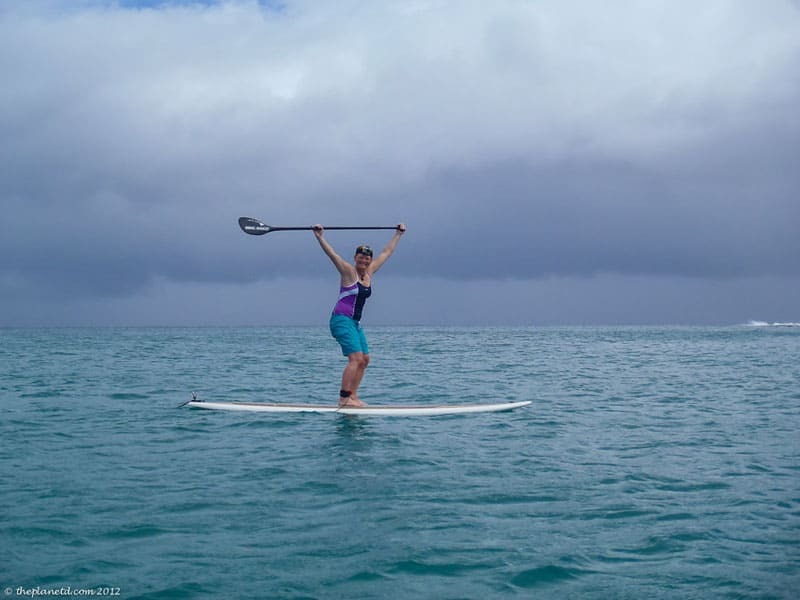 I first tried stand up paddle boarding in Hawaii too and now I am hooked! I’m glad you enjoyed your experience so much – your article brought back many happy memories of my first time! 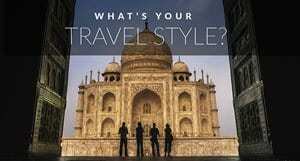 Have you tried it anywhere else in the world? I never travel now without my inflatable SUP! I’m glad you guys saw the joy of paddle-boarding! The first I tried it in the Philippines, I felt like it was complete amateur hour! Great article, I really liked about the advice about breaking waves and paddling on your knees. I was wondering if you guys ever tried an inflatable SUP board, if yes, any major difference between a standard board and an inflatable board in terms of using either one? yes we have and they work great too. We’re not SUP experts, but I think the inflatable SUPs are fantastic. If I were an avid paddle boarder, I’d probably get one to take with me wherever I went. They are quite big though to carry. 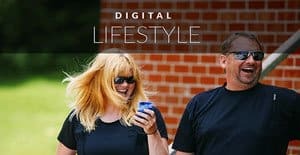 Great article guys, looks like you will now have the SUP addiction! 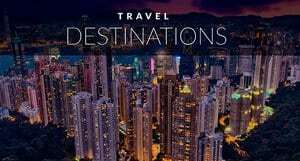 🙂 Now plan to travel the world to SUP!! Great pictures! I just spent the winter on the Big Island of Hawaii and stand up paddled almost daily. It is so addictive and such a great workout, I absolutely love it. Maui will be my next destination of choice. That paddle board matches the color of the sand. Awesome pictures! I always wanted to paddle board on the islands, but how do you transport a board? Did you fly with it? I didn’t realize that. Cool! I would love to spend the winter in Hawaii. Lucky you! I think if we did spend some time there, we’d definitely take up SUP. I agree, it’s a great work out, but not only that, it’s fun! Ha, yes I do believe there are some rivalries between paddle boarding, surfing, kite boarding and wind surfing. They do have different times for people to do things. I know that the surfers always have the right of way in Hawaii because it’s their original sport, but after 11:00 I hear it is time for the windsurfers to come in. We saw a lot of SUP’s surfing in the same waves as the regular surfers too. That would be an interesting thing to explore more indeed. I have not been so successful at surfing, but paddle boarding looks like something I can do! You are right Annette. We haven’t been the best at surfing either. I think you need a lot more time in the water than paddle boarding. Paddle boarding just takes a short time to catch on to. We tried SUP while in Key West and LOVED it! The weather was really cold so we actually wore sweaters the whole time, but the water was calm so we didn’t fall in once. It was a great way to explore the mangroves and it’s such a great workout.